Each year in the United States, weather is a factor in more than 1,300,000 accidents, which make up 23% of all accidents. 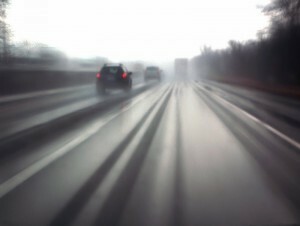 Rain, snow, ice, and fog often create unsafe road conditions for drivers in Missouri and Illinois. When a car is going too fast the driver may not have enough time to stop on a slippery road surface and may cause an accident. If you have been involved in an accident due to someone not driving appropriately for conditions, The Hoffmann Law Firm, L.L.C.can help you recover the compensation you need. When any accident is caused by a negligent or reckless driver, that person should be held accountable for his or her actions. When a driver fails to use caution while driving on wet or slippery roads, the results can be serious, even fatal. At The Hoffmann Law Firm, L.L.C., we are here to protect your right to compensation after a serious weather related car accident. With more than 15 years of experience handling personal injury claims, attorney Christopher Hoffmann is well equipped to handle your car accident injury case and to share with you the things insurance companies do not want you to know. Call us today at (314) 361-4242 or fill out our online contact form. You never pay attorney fees unless we recover compensation for you.